The RABC will have a representative at this event to qualify those in need of no-cost mammograms. This event, organized by Topeka Community Foundation, gives area businesses and the public an awesome way to greet and meet 75 non-profit organizations. You can financially support your favorite organization(s) at this event and have a portion of your donation dollars matched by Topeka Community Foundation. Click here for more information. The RABC will be a participant in this event and we hope you come by to meet us and support us with your donation dollars. Remember that 100% of the funds given to the RABC stay local to support local hospitals (Stormont-Vail/St Francis/Holton Community Hospital) and more importantly pay for mammograms for those in our community who are in need. Join us at our first Make The Cut event! 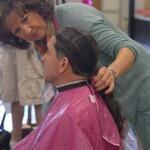 We will be cutting and donating hair to Pantene's Beautiful Lengths Program. Interested in seeing if you can "Make the Cut?" Click Here! The RABC will be at the Brown County Fair, July 8th through the 11th. The RABC will have a booth at this fair to give out information about our no cost mammograms and to qualify women for no cost mammograms. Be sure to visit us! The Race Against Breast Cancer will have a booth at the Jackson County 2014 Fair. Join us to find out some great breast health information and see if you qualify to receive a no-cost mammogram through our program! The RABC will be at the Jefferson County Fair to give out information about our no-cost mammograms and qualify women to receive our no-cost mammograms. Join us at Westridge Mall for the Fall Indulge Event. We will have RABC merchandise, information about our no-cost mammograms and 5K event information/registrations available. Join us at the Atchison Health fair as we give out information about breast health and qualify women to receive no-cost mammograms through our No-Cost Mammogram program! Join us for our annual 5K Event at Washburn University's Law Campus. Come to Fairlawn Plaza and support the Race Against Breast Cancer with your donation dollars at the June 2, 2015 Topeka Gives event. A percentage of your donation dollars are eligible for match by Topeka Community Foundation. Can you Make the Cut? 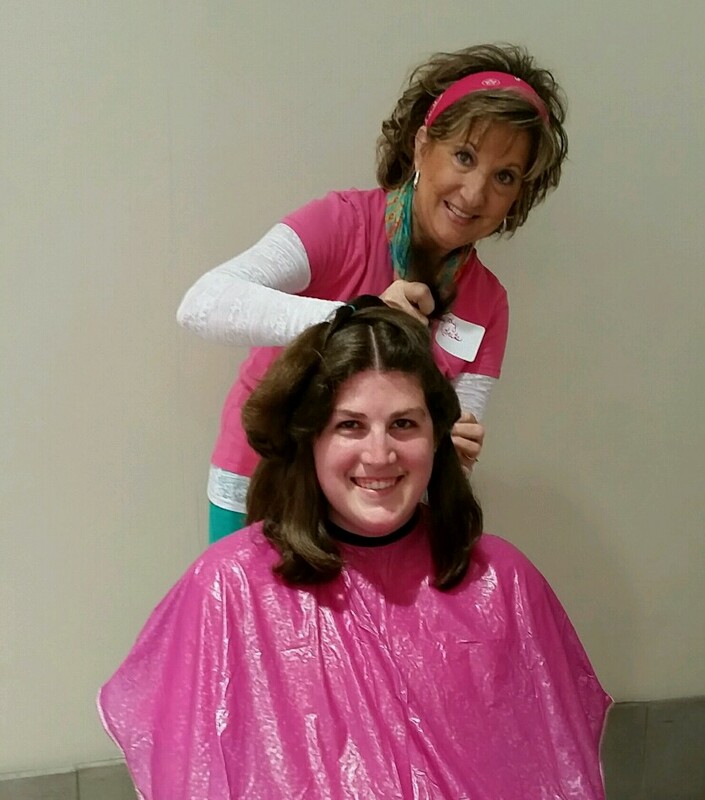 This fun hair donation event gives community members an opportunity to donate at least 8 inches of their hair to Pantene's Beautiful Lengths Program who fashions the hair into real hair wigs for women undergoing breast cancer treatment. So work on growing out your hair to Make the Cut on June 6, 2015! If you are ready to make the commitment, sign up at our Make the Cut page. SilverBras, a division of Silverbackks, is focused on uplifting and empowering women. Quite often, women show incredible selflessness during times of hardship and as such, their needs go unmet. The Race Against Breast Cancer is excited to be part of this special event. The Uplifting Women Expo is a day devoted to women, offering properly fitting undergarments, health information, resources and some much deserved pampering. Lunch and childcare will also be provided. This lady inspired event sponsored by Fairlawn Plaza Shopping Center in Topeka offers girls of all ages an opportunity to visit businesses of interest to them, while helping out a good cause. For each gently used bra you bring to the RABC booth you will receive a ticket that enters you in a drawing for a gift basket. These bras will be given to the Silverbackks for their October bra fitting event for ladies in need. The Topeka Community Foundation has $73,500 of match dollars for this year's event. Donation dollars given to the Race Against Breast Cancer will be proportionally matched by these available dollars. Over 150 Shawnee county area non-profits will be available during this day to give out information. Donations must be given in person at the event to be eligible for the match dollars. Come and support the RABC with your donation dollars at Topeka Gives on June 7th! Ride for a great cause! All proceeds go to the Race Against Breast Cancer! From 4:00 pm to close 20% of all sales at Planet Sub will benefit the Race Against Breast Cancer. So grab your friends and enjoy an evening meal at Planet Sub at 21st & Wanamaker on October 21 while supporting a great cause! Come and support the Race Against Breast Cancer at this year's Topeka Gives event! 100% of your donation plus a percentage match from the Topeka Community Foundation goes to the charity you chose. When you support the RABC with your donation dollars at Topeka Gives, you support a 26 year strong non-profit with the passion to win the Race Against Breast Cancer by paying for no-cost mammograms for those in need in northeast Kansas! Grab your family and friends and forms teams of five to bowl for mammograms! The cost of $20 for each team member will pay for two hours of bowling, shoe rental, and one drink ticket. Teams are encouraged to be creative in raising funds for the RABC! Join us for our 26th Annual 5K run/walk event. Your participation helps spread awareness of breast health and raise funds for the RABC and our no-cost mammography program. Register today! Show your server this flyer from On the Border and 20% of your meal ticket will go to the RABC! To see more Meals for Mammograms events click HERE! 20% of all sales will go to the RABC! Show your server this flyer Dine to donate invite and 10% of your meal ticket will go to the RABC! You can also mention this special offer when you use their call ahead ordering/seating at (785) 271-7427. 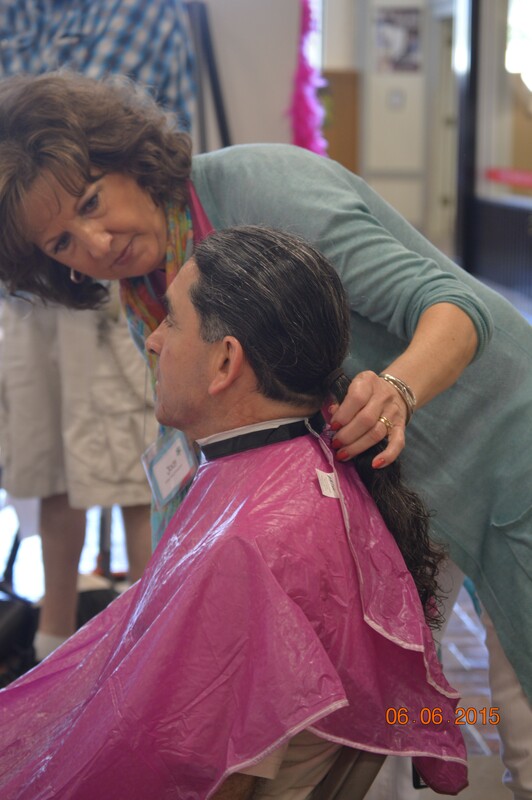 Professional stylists will cut and trim your hair, so you can feel just as beautiful as those you’re helping out or you can bring your already cut hair to the event. 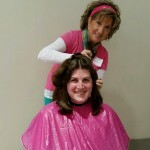 The Race Against Breast Cancer will donate the hair to Pantene’s Beautiful Length’s program which takes the hair and fashions it into real hair wigs. These wigs are donated to local American Cancer Society offices to be given for free to women undergoing cancer treatment. Bowlers of all abilities are invited to join us to raise funds for the Race Against Breast Cancer and no-cost mammograms for NE Kansans in need. Bowlers pay $20 and receive their two hour ball/shoe/lane rental plus a drink ticket. Form a team of five and join us at West Ridge Lanes on Saturday, June 23 from 5:00 - 7:00 pm to bowl for Mammograms!